Technology Blogging - How-To Guides, Digital Marketing, Tips and Tricks. 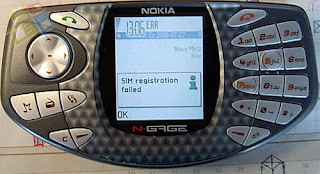 "Any person who know the cause for the Registration Failed problem of Nokia's SIM Card?". You’ll be surprised to know that it’s the most common issue with Nokia mobile phones. Re-start your mobile again & again or take out SIM card and remove the contacts also fixes the problem. Try some of the solutions that worked for me. Nations like India, you have to register your SIM card with mobile company. The mobile company blocks the SIM if the SIM application is not received within few weeks of phone activation. Check out that it’s not the case. Remove the SIM and check it in different mobile, if the mobile does not read the SIM, replace the SIM. This solution worked for my friend few weeks ago in a new Nokia mobile set. Remove the SIM card & battery of the phone. Take a fresh eraser to clean the gold contacts of the mobile and on reverse side of the SIM. Reinsert the SIM card and make certain its aptly seized in place. At times coz of SIM card not properly fixed at its place you need to bang the mobile on your palm. At the back panel of the mobile near the SIM card there are few screws, tighten them if they’re loose. Regardless of all your pains, the mobile rejects to function then make an effort to the repair or replace the phone. Some people have unearthed that mobile firmware up gradation fixes this problem. I tried out this solution on my Nokia phone, the problem was resolved for few months. But the mobile again had the same issue after sometime. Regrettably there seems to be no certain repair for this issue. Most mobile service centers together with Nokia Authorized centers repeatedly fails to repair this problem. Even a service charge is also levied on you just for scrutiny of the mobile. I will appreciate if you share your experiences, how you manage to fix it. Updates straight to your inbox.